No one wants to look at their little ones and think to themselves that they could grow up someday and become the kind of adult who would abuse their parents. Sadly, it happens all too often. Even if it’s not an adult child, financial elder abuse can be inflicted by anyone who has the power to do so. Worse, it’s a growing trend in the United States. Simply explained, financial elder abuse is when a trusted person, whether it’s a family member or trusted friend, takes advantage of a vulnerable senior citizen, via a power of attorney, to steal and embezzle. Not only is it against the law, but it can also affect the victim’s health is significant ways. What do you do when you only want to keep your mom or dad (or both) happy, comfortable and worry free, but fear they may have made the wrong choice in their power of attorney? It’s challenging, especially when you consider elder financial abuse is the fastest growing type of crime in the U.S. Powers of attorney have no oversight, unlike conservatorships, which are court-appointed and are always supervised. A power of attorney can be compiled in short time, which makes it that much more important for an elder care attorney to oversee it and ensure it’s adequate enough to protect the client. Not only are powers of attorney not supervised, they’re not even tracked by the courts. Anyone can download and print a template from the Internet and then put it in front of an older person to sign. Once a new power of attorney is signed, that document supersedes the old power of attorney. In some cases, the fraud is obvious; in others, however, it’s not always that clear. Powers of attorney usually are divided into one of two categories: a financial power of attorney or a health care power of attorney. Both are designed to ensure the agent’s (the person compiling the documents) wishes are carried through when they can’t speak for themselves. Too many times, the one person a client trusts is the one who’s stealing – either their cash, credit cards and even their homes. It’s not uncommon for a family to discover the fraud until after the loved one has passed away. A recent report from MetLife Insurance Company reveals older Americans lose at least $2.9 billion every year due to financial abuse. Further complicating matters is the fact that more baby boomers are retiring every year, which is sure to lead to even more opportunities for thieves to take advantage of a vulnerable friend or family member. One of the more difficult realities is that so many victims don’t report the abuse. It’s difficult to admit an adult son or daughter is responsible for such a crime. This makes it difficult to gather accurate numbers even as it’s clear as to why the problem is so prevalent. Last year, the Government Accountability Office released its report on elder financial exploitation. It showed that power of attorney agents as the sole type of abuser whose crimes are particularly challenging to prosecute. It’s important to choose wisely and then have a safety mechanism in place that provides additional protection. 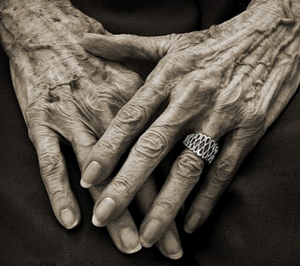 As elder care lawyers, we know how crucial financial planning is for an older person. Making every penny count, especially considering the limited incomes and tight budgets most seniors balance, is absolutely crucial. There are few things harder to grasp than to see an elder care client whose entire estate planning efforts were wiped away because of an unethical loved one who wasn’t above stealing from a vulnerable family member. To learn more about protecting your loved ones or yourself from this type of abuse, contact our offices today.